USD regained some attention near 112.40. US yields rebounds from 2.35%. 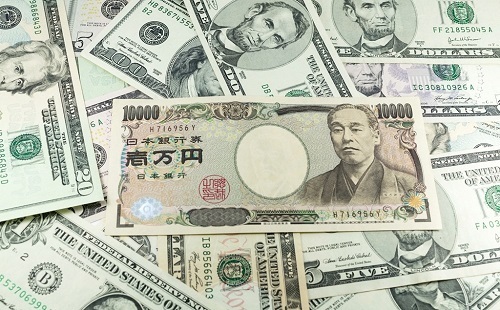 USD/JPY is navigating within a narrow range on Tuesday, finding quite decent support in the 112.40 area ahead of the opening bell in Wall St. The pair is struggling for direction following Monday’s strong advance, although extra gains above the 112.70 region appears difficult for the time being. Spot is following the rebound in yields of the key US 10-year reference to the 2.37% neighbourhood after bottoming around 2.32% on Monday, while the US Dollar Index (DXY) is looking to pick up extra traction above the critical up barrier at the 94.00 limestone. On the data front, existing home sales for the month of October and the Chicago Fed national activity index will be the only data releases in the US docket later today, ahead of the API’s weekly report on US crude oil supplies. In the Japanese calendar, Friday’s advanced manufacturing PMI should be the salient event on Friday. As of writing the pair is down 0.04% at 112.58 facing the next down barrier at 112.41 (low Nov.21) seconded by 111.88 (low Nov.20) and then 111.75 (200-day sma). On the flip side, a break above 113.12 (10-day sma) would aim for 113.33 (high Nov.16) and finally 113.49 (21-day sma).